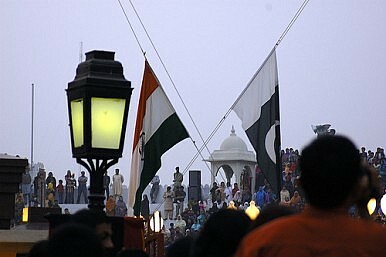 Despite the shambles of foreign minister talks, India and Pakistan must keep talking. As has been discussed by other writers on this blog, last week’s foreign minister-level talks in Islamabad between SM Krishna and Shah Mehmood Qureshi failed to inject the hoped for fresh lease of life into moribund bilateral ties. I watched the live telecast of the Krishna-Qureshi press conference with my mouth agape as the two ministers openly disagreed with each other. Even basic diplomatic protocol wasn’t observed, with the two ministers sometimes speaking simultaneously, as though they were engaged in a TV discussion, not acting as responsible representatives of their countries. Krishna did put forth very strongly Indian concerns over terrorism and denied Indian involvement in unrest in Balochistan. And while his Indian counterpart appeared composed, Qureshi looked upset, perhaps fully aware of the fact that Krishna’s visit was imploding right in front of the media. Clearly, the foreign offices of the two countries hadn’t done their homework properly and it was back to square one. The two South Asian adversaries have had a Tom and Jerry kind of relationship for decades. The Krishna-Qureshi meeting had been seen as likely to provide much-needed impetus for progress on India Pakistan relations, but the six-hour-long talks ended up in stalemate. But this certainly isn’t the end of the road for the two rivals. One concrete deliverable that emerged from the meeting is that the two foreign ministers have agreed to meet again, and the Pakistani foreign minister will be travelling to New Delhi in December for the next round of talks. Before then, the two countries’ principles should meet on the sidelines of the United Nations General Assembly in New York in September. It’s essential that despite the latest setback that the two countries stay engaged.